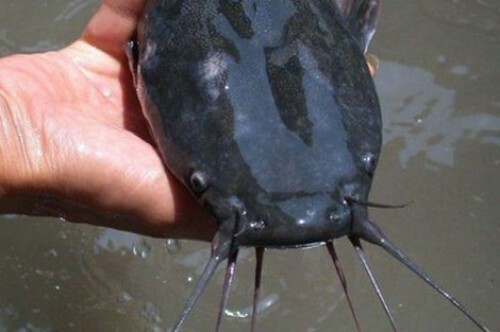 Cuba's Claria catfish. Photo courtesy of Orlando Luis Pardo Lazo. The forced introduction of catfish to Cuba from Africa and Asia, in the late twentieth and early twenty-first century, can now be considered an ecological holocaust. The animals’ voracious appetite has wiped out countless freshwater animals on the island, in addition to non-aquatic species. 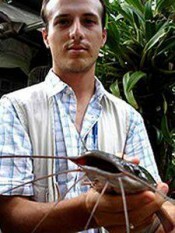 This breed of catfish, otherwise known as Clarias batrachus, or walking catfish, can weigh dozens of pounds and grow to a monstrous size. They are scavengers and, thanks to their ability to survive out of water for an extended period of time, all kinds of objects have been found in their stomachs: Spark plugs, marbles, coins, stones, plastic, the remains of vegetation, fish, amphibians, birds, rodents, and sometimes even feces. They will also devour one another when overcrowding occurs. Although Cuba is surrounded by water, and our archipelago has more than 3,500 miles of coastline, the Cuban Fishing Fleet is a mere phantasm floating across the memory of the Caribbean Sea. Private fishermen came under suspicion for possibly smuggling people to Miami. Cuba is too close to the United States, where, paradoxically, catfish is treated as a delicacy: “God gives a beard to those who don’t have a jawbone,” is a common saying on the island, except that in this case the catfish has a moustache.